I’m moving on. Drawing is great, but lately I found it tedious and… well tedious. And I’m barely making it economically doing comics. Time to make a change. 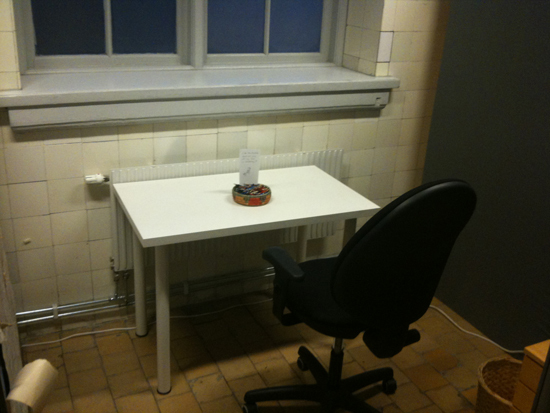 So I emptied my little corner in the Malmö Comics Studio and left for Denmark. I have to admit it looks VERY empty. Hopefully this will make my colleagues rush to find a replacement cartoonist for me, so I don’t have to pay for an empty place, like I’m doing at the moment. Just to give you an idea of the amount of led that goes into cartooning. These are pencil leftovers from my two years in the studio, Actually there were more, I just left this neat little basket for my succesor to have something to live up to. So I started this course in Viborg, Denmark in 3D animation. The downside is that I have to stay at the school (since it’s 5,5 hours away) and be away from my baby faaar too long. The good part is there isn’t much else to do than school work. The first week has been frustrating beyond belief. 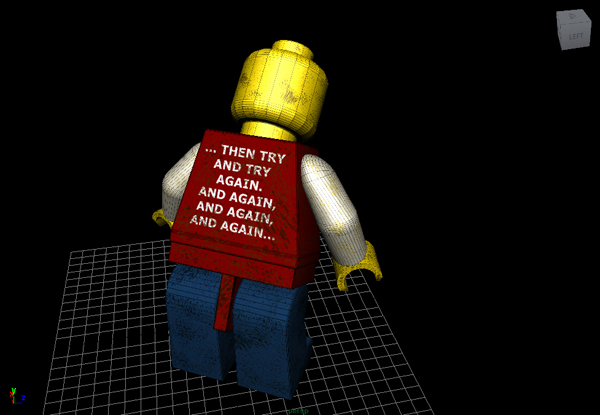 Learning Maya when you’ve never used a 3D program before is like learning how to walk again. And I had forgotten how hard it is to learn to walk! Speaking about tedious, when I mentioned I found drawing tedious, apparently so did the stop motion animators find stop motion tedious, just as the 3D teacher found 3D animation tedious. I guess the work we do in this business is tedious by nature. It’s just different types of tedious. But we always admire what others do (especially if it’s in another media or technique than the one we’re in ourselves). That’s just the way we are. By the way, those stop motion animators, three guys from Britain, just happen to be fresh out of animation work on Fantastic Mr Fox. How cool is that? Some kind of Death Star. I always wanted to make one of those. Right now we’re doing a two week introduction course in modelling. 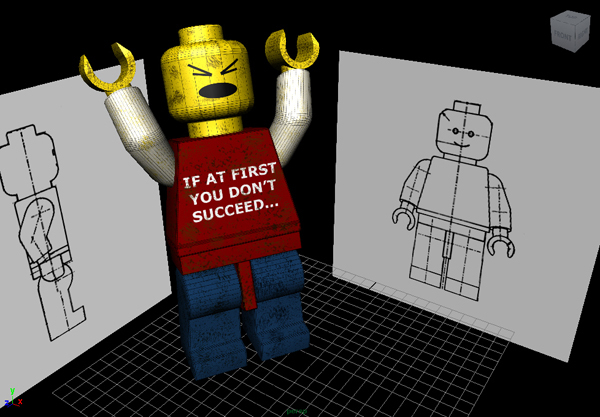 Later on we will focus on animating already made models, so we’re not required to be experts in modelling. But it’s good to have an understanding of the basics. I can’t tell you how many times and in how many ways I managed to screw things up before managing to gather these objects onto the grid. The main task of week 1 has been to create a Lego character. 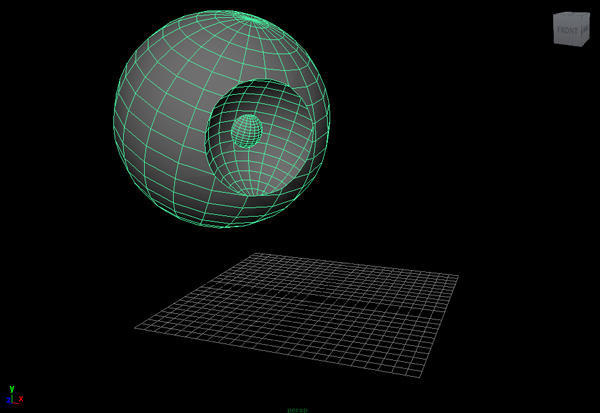 We’ve talked about polygons and curves and millions of tools and drop down menus. 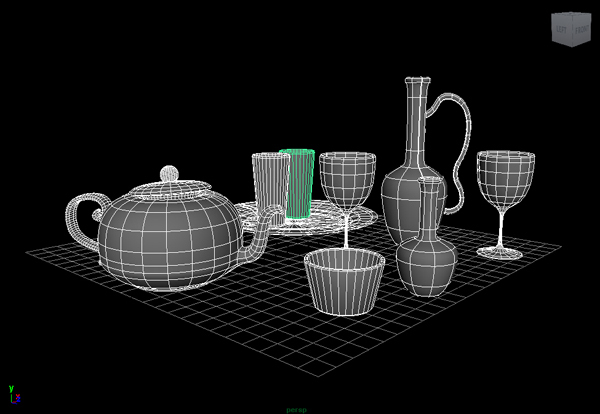 Today we’ve worked with UV mapping (attaching a skin or texture to the objects), which I found incredibly difficult. There is still quite some distance before I become friends with Maya. However, it definately seems to be a powerful program once you get some control over it. Frustration, irritation and anger will lead to the dark side? This entry was posted in 3D, Animation, Course Work, Freelance Studios by Andreas Qassim. Bookmark the permalink. oh yes the frustration. Don´t forget to have autosave turned on.. save you alot of energy and tears. looks good! Work is tedious, that’s why it’s called work. 😉 But it also looks like you’re making great progress! Can’t wait to see a fully animated Enur! yay buddy there we go, it’s always hard to start something new, for me drawing is frustrating and horrible, even tho i love what can be done and what i’ve seen when i get a pencil in my hand i feel like im trying to run with no legs! it’s unbelievably frustrating, but i’ll just keep trying. remember to have as much fun as you can while you’re at it. Thanks guys for all the pep talk! Luke, I’ll turn autosave on first thing in the morning, for sure. Johan, you’re right! That’s why it’s so great being back in the classroom! Here you can actually screw up, and it’s cool. Unlike when you’re working, where you always have to deliver. You run your head into the classroom wall, so you won’t have to later. Frustration is thus a good thing, as long as you don’t give up. We’ll see about Enur. There are so many cool things you could do. I’ll try to use my time here wisely. Luciano, great to see you here at my blog! 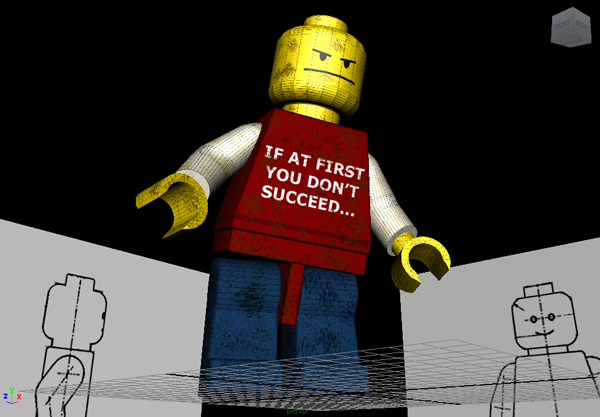 I’ll definately be on your tail for more good Maya advice. Be patient with me! And if I could help you with anything related to drawing, don’t hesitate to ask. I’m crap at life drawing, which is what you’re supposed to be really good at as an animator and comics artist, so don’t expect too much. Thanks, Zebulon! I will definately do all those things, especially #2. Well, I already checked out #3. Hm, what can I say? I wonder WHERE they got the design AND the idea from? I’m sure it’s great, but I’d rather wait for Nintendo’s next invention and play my far less timeconsuming iPhone games until then. Did you use to play Digital Illusion’s Pinball Dreams on the Amiga? That’s my new favorite. It’s all I do when travelling between Viborg and Lund. Man I feel so sorry for you Andreas, life is unfair yet again… I will miss seeing your name at the bottompage of your works in BAMSE. 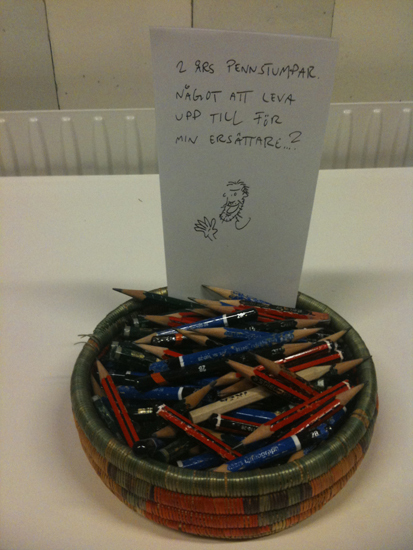 You, Bällsten and Mårten are my top three comic artists, dont ever forget your talents! But I´m sure you will do great with whatever you decide doing now, you are an awesome a animator and you´ll do great with the 3D stuff! I am a comic artist myself(not professional of course) and my dream is to one day become a real comic artist, especially to be a comic artist of BAMSE since it´s so close to my heart due to my looooooooong BAMSE subscription as a youngster. I pray and hope that your succesor is at least half as good as you are Quassim. Know my long term goal is to one day be able to fill a spot like that, and I will never be able to do it without the inspiration your art has given me during my life. Och jag har aldrig sagt att jag slutat med Bamse. Direkt efter den här kursen kommer jag att teckna ytterligare en Bamse-serie. Min förhoppning är att kunna jobba mer med animation framöver, och 3D i synnerhet då, men det vore ju dumt att ta drastiska beslut som att sluta innan man vet hur det kommer bli. Så lätt blir du inte av med mig, min framtida konkurrent! Ser fram mot att se ditt namn i tidningen så småningom. Vill man bara något tillräckligt mycket och är beredd att jobba för det, så är det mesta helt möjligt. Och tar det emot på vägen, kom ihåg att det är själva ansträngningen och antalet svettdroppar och timmar som räknas, inte “talang”.